Typical floor size: 25,000 sq.ft. Owner: Foulger-Pratt Development, Inc., The Peterson Companies, Argo Investment Company. 8515 Georgia Avenue has been designed to accommodate the need of today's office user. The building will be a class "A" office building of nine stories, with six stories containing approximately 150,000 sq.ft. of office space to be built over one level of ground floor retail space, one level of below-grade parking and storage, and two levels of parking above the retail. 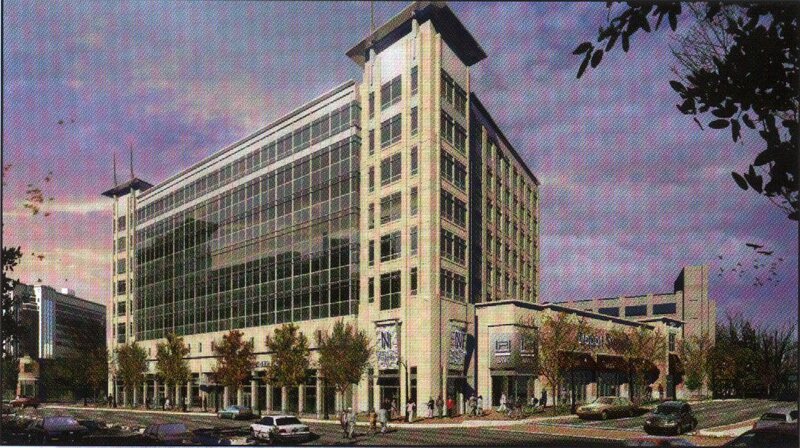 The building is located on Georgia Avenue, between Ellsworth Drive and Wayne Avenue in down town Silver Spring, MD.